MIND was contact by the team over at the United Way of Lancaster County to design and develop a fundraising platform for their Impact Partners program. The site needed to be designed in a specific way and abide by the graphic standards of the United Way. Numerous meetings were conducted to be certain that the functions and the flow were completely optimized for the user experience and potential heavy traffic scenarios. In addition to the the site development and design, we also provided branding for the site that also adhered to the graphic standards of the United Way. 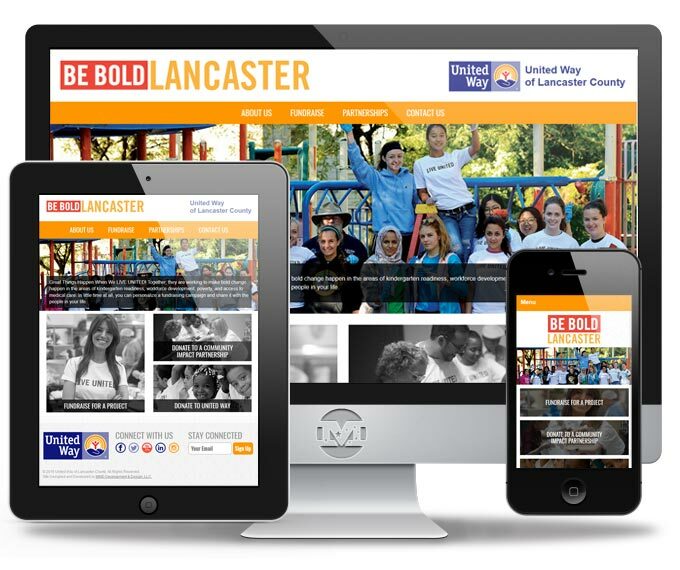 We started with a single partner and fundraiser to test the waters and now the site is being populated and used on a wider scale to drive donations to individual groups as well as the United Way of Lancaster. MIND created a number of functions to be certain that the staff at the United Way could easily operate and edit the site if needed.